Kasihki Kala Gayee, Mathura Masid Bhaee; Gar Shivaji Na Hoto, To Sunati Hot Sabaki! [Kashi has lost its splendour, Mathura has become a mosque; If Shivaji had not been, All would have been circumcised (converted)]. Baji Prabhu was around 15 years senior to Shivaji in age. 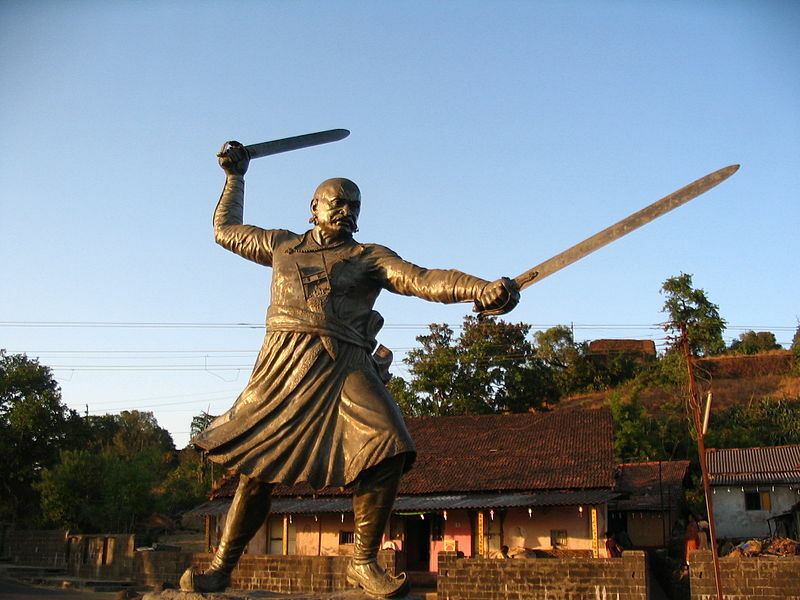 He started out opposed to Shivaji, as a sub-leader serving under a rival Maratha clan, who Shivaji subdued in 1656. At first it was impossible for Baji Prabhu to look favourably upon Shivaji, but he soon realised that Shivaji stood for a larger cause than that of the many petty squabbling Hindu leaders of the era. Shivaji stood for national resurgence. Thus he became a staunch friend and loyal supporter of Shivaji. In 1660, Shivaji was trapped in the fort of Panhala, under siege and vastly outnumbered by an Adilshahi army led by an Abyssinian named Siddi Masud. The Adilshahis were the dynasty which ruled Bijapur for many centuries. The ruler at the time was Ali Adil Shah II. Shivaji had inflicted embarrassing defeats upon the Adilshahis, and they were determined to crush him. The Adilshahis were often at odds with the Moghuls, but in this case they were aligned with the Moghuls with the joint purpose of crushing the overly audacious and crafty Hindu upstart [Shivaji]. An ambitious plan was hatched by Shivaji to escape to the fort of Vishalgadh, which was administered by a Maratha chieftain named Range Narayan Orpe, who was under allegiance to the Adilshahis, but who had come to a clandestine arrangement to switch sides and join Shivaji at an opportune moment. There was also a Moghul garrison stationed at Vishalgadh which Shivaji would have to defeat. 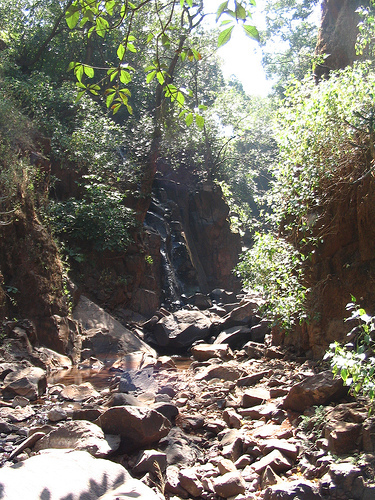 Shivaji, Baji Prabhu and around 600 of their best troops, hardened mountaineers of the the Maval region, would dash through the Adilshahi force at night. A man named Shiva Kashid, who resembled Shivaji in appearance, had volunteered to dress like the king and get captured. It was envisaged that this would buy some time, before Siddi Masud realised the error an gave chase. Shivaji made his escape on the dark night of July 13th, with the small contingent of troops. Baji Prabhu was 2ndin command of the contingent. Baji Prabhu would have perhaps won no place in history and ended his life in relative obscurity if Shivaji and his party had managed a good lead towards their destination. But the Adilshahis gave hot and rapid pursuit, with an army of 10,000. It was clear that there was no way to shake of the enemy, and that the Marathas would not simultaneously prevail over both the Moghul garrison at Vishagadh and the chasing Adilshahi army. The only option was for a section of the Marathas to stay back and fight the vastly larger Adilshahi forces, while the rest of the Marathas would carry on. Shivaji decided that this was inevitable. Baji Prabhu agreed to face the troops of Bijapur with half of the contingent. Shivaji said that Baji Prabhu would hear the cannon fire from Vishalgadh (the destination fort), as a signal of Shivaji’s safety. The strategic position of Ghod Khind (Horse Pass) was chosen for the defence. It was very narrow and only a few soldiers could pass at any one time. Baji Prabhu occupied Ghod Khind, blocking the path of the pursuers, and made a determined stand against them. He knew the great importance of his task – he had to protect the safety of a man of destiny. He was resolved to stand until the last man, outnumbered vastly. Baji Prabhu was severely wounded but carried on fighting for hours, possessed as it were by his sense of mission. The Adilshahi army repeatedly tried to break through the defenses of the pass, but were constantly repulsed. The unequal battle raged for hours, with the valiant defenders clinging to their positions, rapidly depleting in numbers. Only a handful of Marathas survived, and around over a thousand soldiers of the Adilshahi army were slain. At last, 5 hours after the battle started, the cannon fire announcing Shivaji’s return to Vishalgadh was heard. Hundreds of valiant Marathas had by then laid down their lives. Baji Prabhu was fatally wounded and died. The dying hero was however jubilant. Shivaji’s plan was successful. Having made his way to Vishalgadh, Range Narayan Orpe switched sides and the combined Maratha forces easily surprised and routed the ill prepared Moghul garrison situated there. Baji Prabhu had earned them a breather before the Adilshahi forces arrived which had carried on chasing Shivaji to Vishalgadh. The Marathas repulsed the Adilshahis inflicting heavy losses upon the latter. Shivaji later personally visited the house of the slain Baji Prabhu, which was in the village of Kasabe Sindh in the Raigad district and honoured his family, including giving his eldest son a position of leadership and honour in the forces. 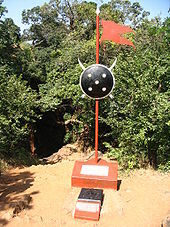 The defence of the pass of Ghor Khind by 300 Marathas led by Baji Prabhu was renamed “The Battle of Pavan Khind” which in Marathi means “The Battle of the Sacred Pass”. “The defence…,” says historian Dennis Kincaid, “has become legendary in Western India. The action is remarkable as an example of the spirit which Shivaji’s leadership infused into his followers.” Shivaji’s mother, Jijabai, wept at the news of Baji Prabhu’s death. Ballads and poems have been composed in his memory, some of which are still sung today. Sri Aurobindo, the great yogi, mystic and revolutionary of the 20th century wrote a splendid poem dedicated to Baji Prabhu, which was used as a symbol to capture the spirit of sacrifice that was required of the young men in India’s freedom struggle which was then under way. Let us hope that Baji Prabhu and his men will be remembered and honoured as long as good and brave deeds are considered worthy of commemoration.